Spend your days waking up in new cities, discovering diverse cultures and delving into a range of enticing cuisines all while getting lost in unfamiliar yet welcoming places. 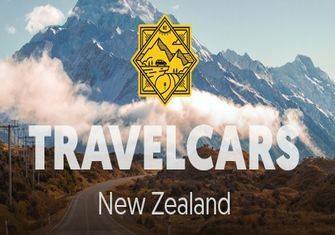 Get to know the locals, meet fellow travellers and become a part of the nomadic community. 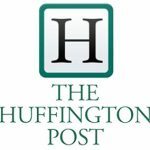 Europe offers a plethora of destinations to choose from, so; whether you enjoy the beach or prefer to browse around museums, there is something for everyone in this vast continent. Interrailing is an efficient and economic way of getting around Europe and it gives you the freedom to visit the cities you desire at your leisure. There are three interrail passes that can be purchased online. The Global Pass allows you to visit all 30 countries, the One Country Pass allows you to freely get around a specific country of your choice and the Premium Pass lets you travel through Italy or Spain. The beauty of interrailing is that you can tailor your trip specifically to you, so your trip is truly unique. No matter your age, interrailing is an incredible way to see Europe and you are guaranteed to have a lot of fun along the way. Below I will share my favourite interrail route which includes some of my most adored cities. Berlin is an exciting city thriving on culture and modernism. 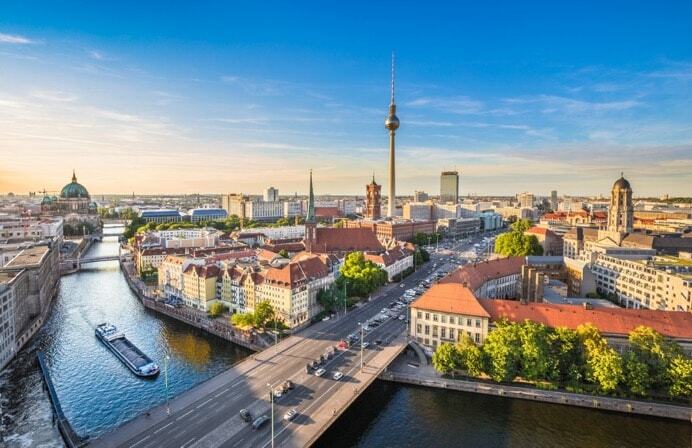 Germany’s capital houses an abundance of history and architecture which dates back to the 13th century. It makes it the ideal place to learn and discover. Visiting the Berlin Wall is a must and the Holocaust memorial is also a great educational visit. When it comes to the cuisine, foodies are in for a treat. With many restaurants to choose from catering to all budgets, be sure to try wiener schnitzel or currywurst mit pommes. However, joining the long, but well worth the wait queue at Mustafas for the ultimate Doner Kebap is a must eat while in Berlin! When seeking accommodation in Berlin, there are many choices. If you are looking for something slightly more upscale but won’t break the bank, Capri by Fraser Berlin is a fantastic option. Their serviced residences mean you can even save some pennies and skip a few meals out by preparing your own using the in-room kitchenettes. Make sure you stop a the wonderful city of Munich during your interrail adventure. Nestled along the River Isar, surrounded by the Bavarian Alps, Munich is a vibrant metropolis that is constantly buzzing with tourists. It offers a great deal of history with many museums. The Alte Pinakothek is a fantastic art museum worth the visit and the BMW museum is a must if you are after something more modern. At the BMW museum you will learn the story and innovations of one of Germany’s greatest exports. Take a journey through automotive time from the first ever model to the latest concept cars. An absolute favourite, Zurich is a magical city with a stunning setting surrounding the beautiful lake that is embraced by the picturesque mountains. This diverse city spans further than just a major financial hub. Its eclectic vibe perfectly blends contemporary and historic culture with impressive ancient architecture and modern additions such as hip bars and restaurants. Known for its great nightlife, Zuri-West is a buzzing part of the city where you can shop, eat and dance the night away. Supermarket and Hive are recommended nightclubs where the party goes on until the early hours of the morning. One of the world’s biggest fashion capitals, Milan is the city where you can shop (and eat) until you drop. The locals may always be on the go, but that doesn’t mean you can’t slow down, sip on a glass of wine and watch the world go by. Take a peek at Leonardo Davinci’s famous painting, The Last Supper, which is housed at Basilica di Santa Maria delle Grazie. You can easily spend your days visiting all the wonderful buildings such as Duomo di Milano and Sforza Castle, but don’t forget you can really enjoy the outdoors by taking a day trip to Lake Como. Italy is, of course, known for its delectable cuisine. Go for a meal at Giacomo Arengario just as the sun is going down and delve into some delicious Italian fare. Here, you can enjoy renowned seafood dishes like the king crab pasta all while enjoying a stunning sunset. 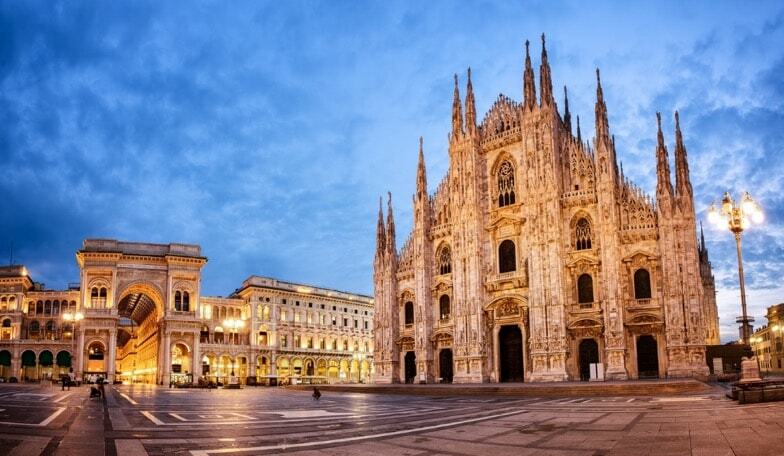 Milan can be expensive, but don’t worry if you are travelling on a budget, not to worry. There are plenty of cheaper accommodation choices like Ostello Bello hostel which offers comfort and space in an excellent location right next to Piazza del Duomo. There is nothing sweeter than the South of France. This port city is romantic and undoubtedly scenic with small sail boats to mega yachts and glistening blue waters; you won’t be able to help but fall in love with this place. Marseille boasts a lot of history which can be explored in areas like Le Panier, the oldest part of the city. The République quarter is ideal for doing some shopping in the upscale boutiques and striking structures. Marseille Cathedral (which has been a basilica minor since 1896) is well worth a visit. For seafood lovers, coming to a port city is where you will find the best and freshest seafood dishes on offer. Enjoy a meal at Grand Bar des Goudes which boasts incredible marina views and a lovely outside terrace. The menu has something for everyone, so those who are not a fan of seafood can also enjoy a delicious lunch or dinner. The final stop of this interrail tour is the adored Barcelona. This thriving city has it all – culture, art, history, shopping, good food, nightlife, and even a beach! 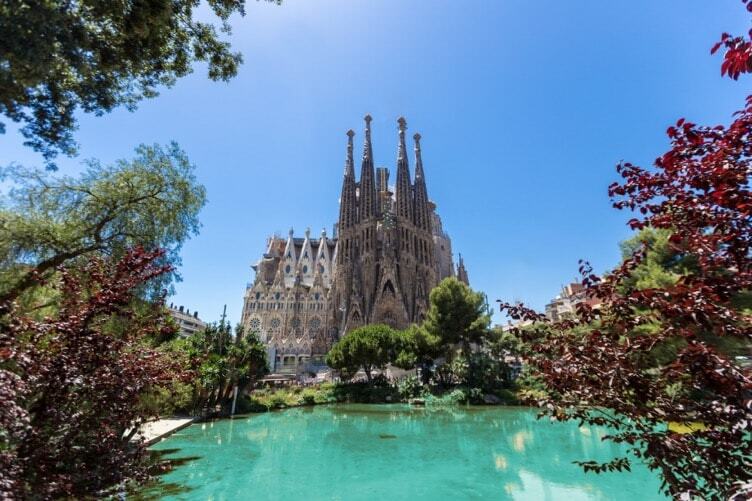 Spend the day on a walking city tour exploring all the must-see sights such as the Sagrada Família – the famous Roman Catholic church (designed by famous Spanish architect Antoni Gaudí) that has been under construction since 1882. Then discover other unique and famed Gaudí buildings like Casa Vicens and Colonia Güell followed by a tasty meal of Tapas and sangria. Choose convenient accommodation that is in a central location, so you will be close by to all popular attractions and can walk rather than relying on public transport. Capri by Fraser Barcelona comes highly recommended as it is situated in a great area. Take a trip down to Las Ramblas, the main street where you can enjoy many bars, restaurants and nightclubs. Don’t forget Barcelona also houses a beach if you are craving a spot of sunbathing! Although there are many interrail routes to choose from, this is a chosen favourite where you are guaranteed to find enticing gastronomy, amazing sights and experience diverse cultures, each one different from the last. Don’t waste any more time, start planning your interrail adventure today!